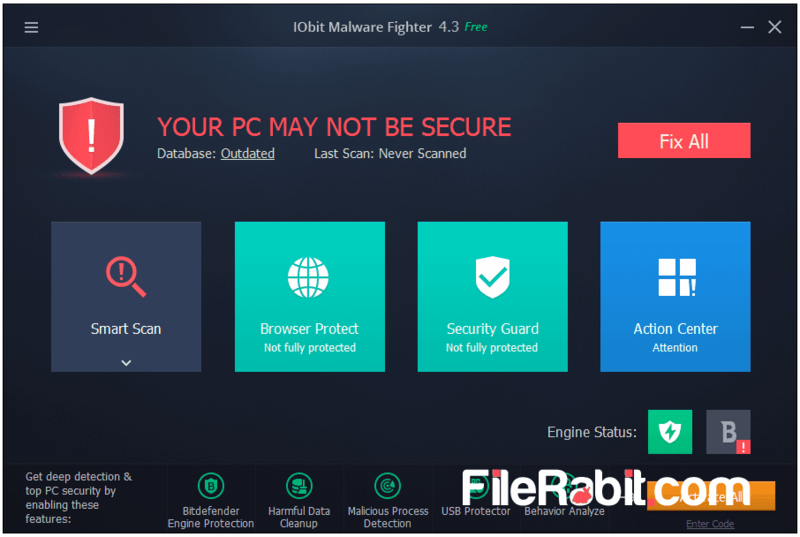 IObit Malware Fighter is a professional anti-malware program that can block malicious advertisement, websites, games and email attacks as well. It will block suspicious third-party applications from spying your credentials and privacy information too. It gives ultimate and realtime protection against worms, keyboard keyloggers, Trojans, hijacking, spying, spyware, adware, auto bots and other email based junk attacks. The application has been using Bitdefender’s anti-malware engine that makes working in better and safe way. Every incoming and outgoing bytes will be monitored through firewall without missing very occasions. The upgraded and safe engine let malware fighter more professional and powerful to fight against malicious viruses. The layout is very simple and attractive with putting things on perfect place. For example, there are 4 functions on main screen including Scan, Browser Protection, Security Guard and Action Center. The black screen window is clean where finding different functions is easier especially for old age customers. Each of function has more features such as Scan has smart scan, full scan and custom scan as well. 1-click fix button is here to quickly respond troubleshooting through notification center. MBR Guard will keep your data and information away from hackers and seekers. 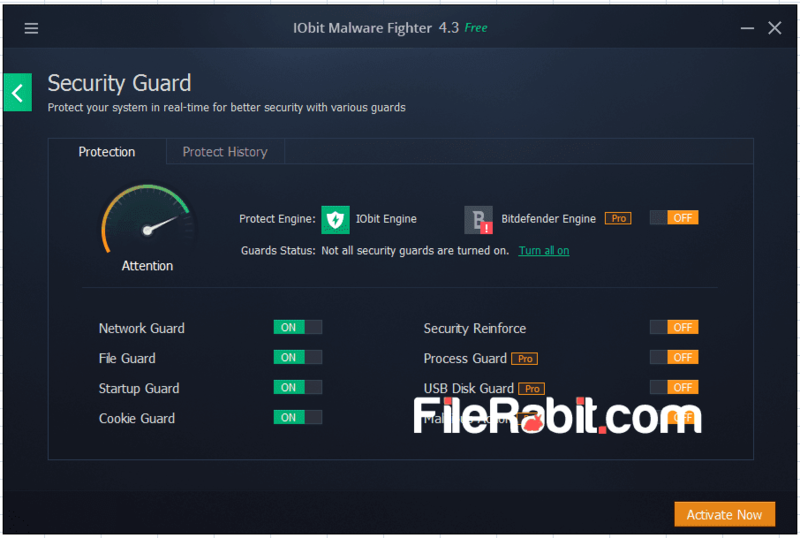 Although, IObit Malware Fighter is aimed security guard that will double protect your PC in both online and offline network modes. 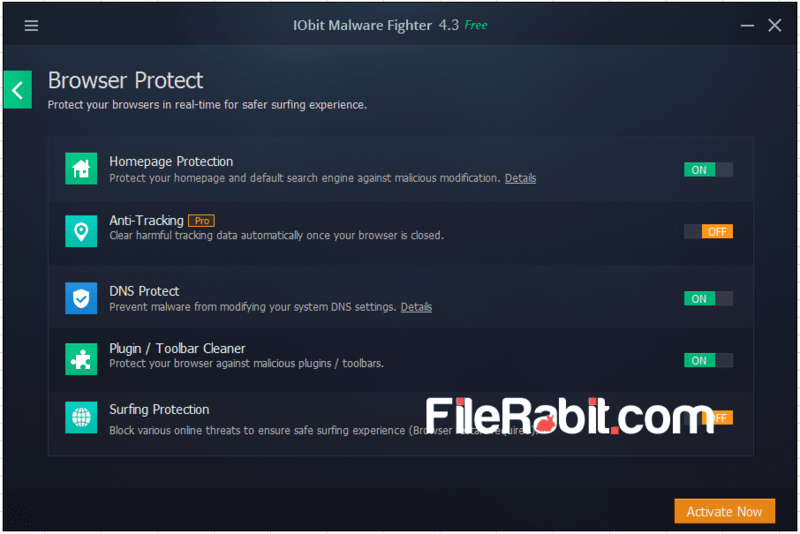 IObit Malware Fighter is claiming much responding malware killer with bundle of latest features. Many of malicious attempts will be blocked even from browser temp cache folder. 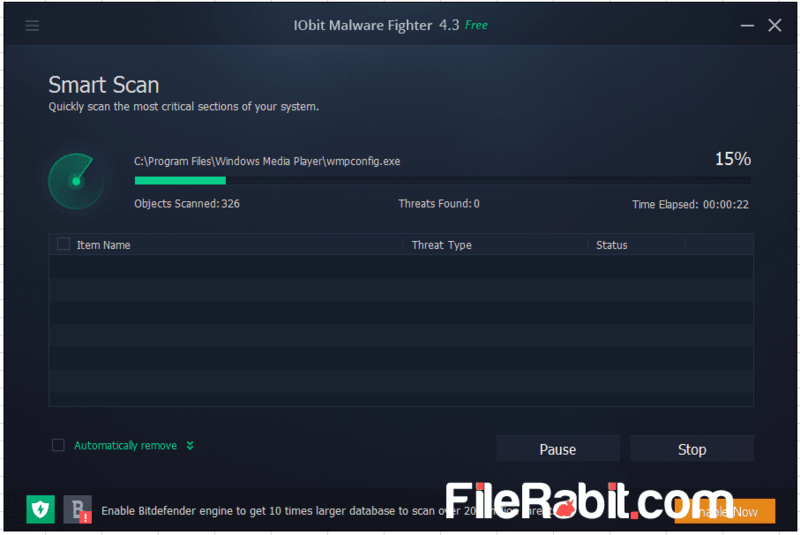 However, IObit Malware Fighter is light weight, less resource taker and quick responding anti-malware. Millions of computer has been hacked though toolbars and plugins. It will immediately block reasonware attacks from USB sticks, DNS, autoruns as well as system boot attacks.